Alaska’s growing season may be short on days, but the summer’s long hours of sunlight ensure the state’s farmers and gardeners are still able to grow plenty of fruits, veggies and flowers. Farmers markets have sprung up around the state, allowing shoppers one-stop spots to pick up fresh Alaska produce. There are often also vendors with other made-in-Alaska goods such as dairy products, preserves, arts and crafts and more. The Alaska Farmers Market Association’s website has a great roundup of markets around the state so you can check and see if there are opportunities for you to do some shopping while you travel. The Market and Festival happens June 14 through Sept. 11, Saturdays and Sundays from 10 a.m. to 6 p.m. across from the Hilton Hotel in downtown Anchorage, on Third Avenue between C and E Streets. For more information contact Bill Webb at 907-272-5634 or bill@anchoragemarkets.com. In the interior, Delta Junction is home to The Highway’s End Farmers Market. 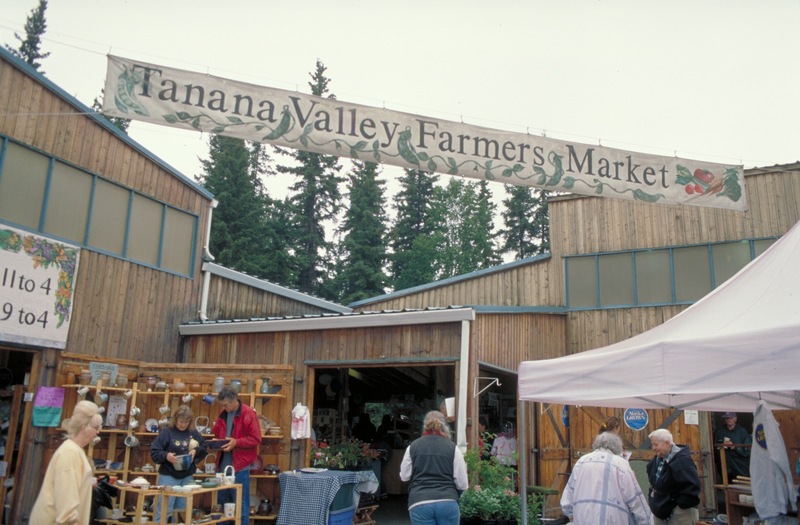 The market runs from May to September, 10 a.m. to 3 p.m., Wednesdays and Saturdays at the “The Triangle” at the end of the Alaska Highway across from the Visitor’s Center. For more information contact Jane Hamilton at 907-895-4752 or janehamilton99737@yahoo.com. Homer has the Homer Farmers Market. It runs from June to September, Wednesdays 3-6 p.m., Saturdays 10 a.m. to 3 p.m. on Ocean Drive. For more information contact Paul Castellani at 907-235-0703 or fourcasta@yahoo.com. Soldotna is host to the Kenai Peninsula Farmers Market. It runs from June to October, Wednesdays and Saturdays, 1-7 p.m., 43453 Kalifornsky Beach Road, next door to Save-U-More. For more information contact Jeff Babitt at 907-252-5712.